Roof Cleaning Services, Durham NC, Henderson NC, Mebane nc and surrounding areas! Competitive Edge Roofing CO. is please to announce Roof Cleaning Services to our extensive list of Roofing Services that we offer. We now Clean Metal roofs and Shingle roofs as well, We can make your roof look like new again! On Metal Roofs we use a product called Simple Green Which is earth friendly and wont harm your Roof, Earth or foliage around your home this and lots of water and a good scrub will generally do the job. If required it may be necessary to use a bleach solution mixed with water to clean your roof properly. We will rinse, rinse, rinse to make sure all of the residue is off of the roof to prevent any damaging to the paint film. We may also use a pressure washer with low pressure to clean your roof as well, whatever the need for the cleaning of your roof rest assured we are professionals and will not harm your roof in any way. 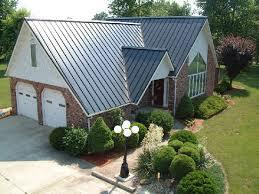 The finish on quality metal roofing panels will give you many years of trouble-free service. However, a metal roof is not completely maintenance free. Dirt and pollen can alter the look of the finish. With some simple cleaning, the finish can be restored to its factory look. Remember: Walking on a metal roof can be slippery and, extremely dangerous always consult a trained professional for this service, extreme caution should be used in order to prevent injuries. Areas We Service are: Durham NC, Henderson NC, Mebane NC, Burlington NC, Roxboro NC, Hillsborough NC, Haw River NC, Graham NC, Efland NC, Cary NC, Apex NC, Stem NC, Butner NC, Creedmoor NC, Oxford NC, Yanceyville NC, Leasburg NC, Hurdle Mills NC, Holly Springs NC, Garner NC, Sanford NC, Thomasville NC, Louisburg NC and, Many More just ask and we will come! For your Free estimate For our Professional Roof Cleaning Services Contact us us today at (336) 504-2776 or visit our contacts page.